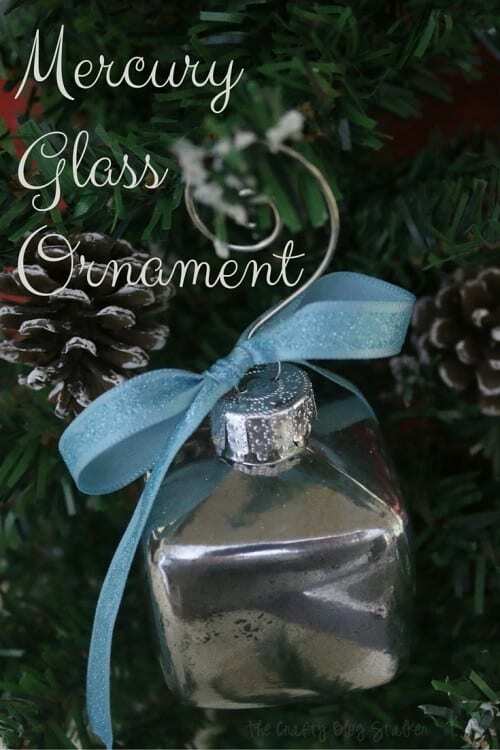 Follow this tutorial to make a vintage Mercury Glass Ornament. A beautiful keepsake ornament for your Christmas Tree that you can keep or give as a gift. The holiday season is all about fun family traditions. Every year all of the women in my family do a handmade ornament exchange. There are 8 of us, so each year we make 8 of the same ornament and them exchange them at Thanksgiving. So everyone goes home with 8 unique handmade ornaments. This year I turned to Consumer Crafts for a help with the supplies for my ornament. Consumer Crafts is an amazing online resource for craft supplies. They easily have the lowest prices, over 1,400 craft tutorials and awesome project ideas on their blog, Crafts Unleashed. 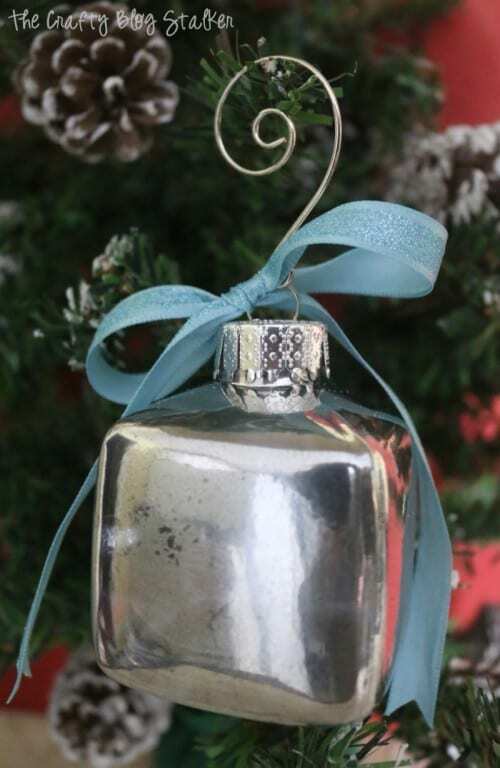 I wanted to give my ornaments that vintage mercury glass look, and it is actually quite simple to do. It snowed yesterday, so my snowy back lawn is the perfect backdrop pictures. Since I am spray painting, I took it outside. I love the look mercury glass look but not on everything I own. 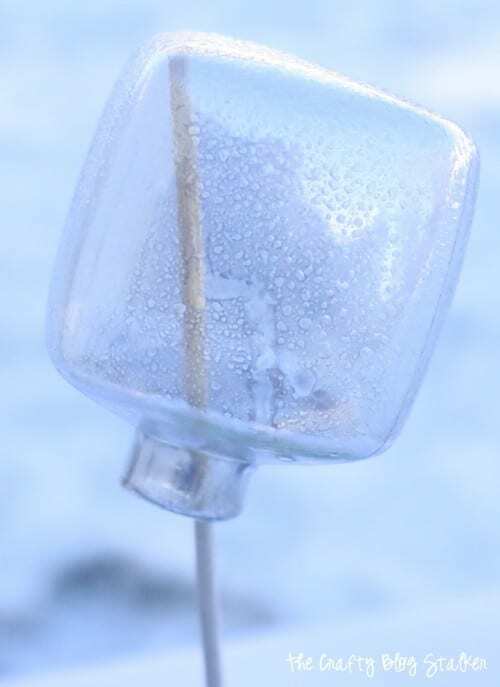 In a spray bottle, mix 1 part water to 1 part vinegar. I used about 1/4 cup of each. I also used a foam block and bamboo sticks to hold the ornaments for me. This way I could spray them without touching them. I did two rounds of the steps. My ornaments were still partially clear, but I could definitely see the silver Looking Glass as well. You can do as many layers as you want to get the look that you like. 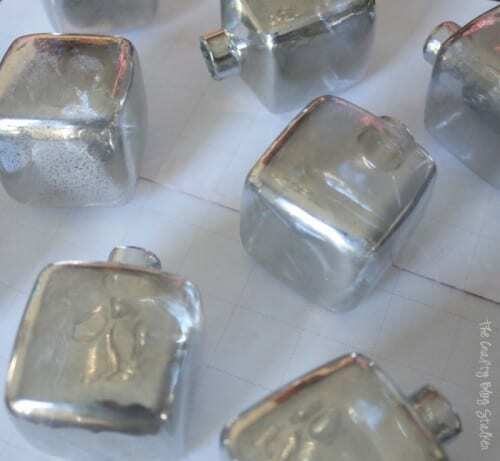 Here are the Mercury Glass Ornaments drying after all of their layers. 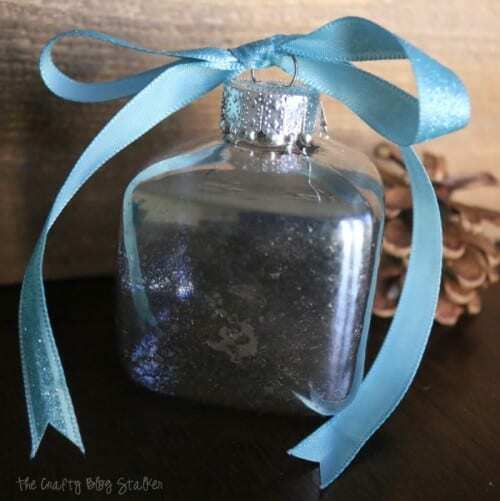 To add a little bit of color to the ornament, I tied a bow at the top of the ornament with some blue glitter ribbon. 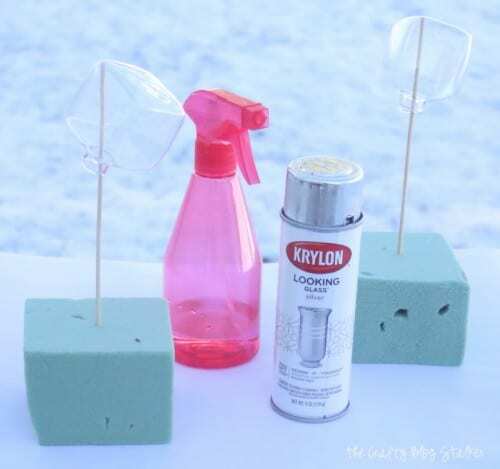 These ornaments are super simple to make and are very elegant looking. The ribbon tied to the top could easily be switched out to match any color or theme of your Christmas Tree. Need a little inspiration as to what ornaments you are going to make this year? Follow Consumer Crafts on Facebook, Twitter, Pinterest, Instagram, and their blog and they will totally help you out! So simple, and yet so pretty! I love the look of mercury glass, and it looks fabulous against the dark green tree. Thank you Vineta! They were fun to make. Love the look of the Mercury ornaments. You have a great collection of ornaments. Thank you for linking up with us @ #HomeMattersParty. We would love to have you again next week. Congratulations on your #HomeMattersParty feature! What a cute project. Thank you Jamie. I am so glad that you like them. So pretty!!! 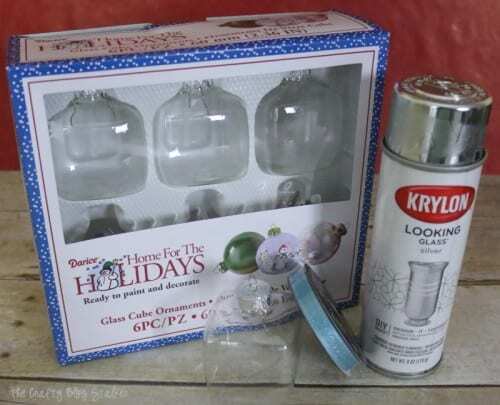 I have some of that looking glass spray paint, so this is going on my to do list for the holidays. Thanks for linking up to Welcome Home Wednesdays!